In the wake of recent school violence, and after a strong demand from area schools, the Kentucky State Police (KSP) with input from school administrators across the state, have developed a program aimed at helping all schools respond effectively during an active shooting incident. The program does not set school policy. It provides four levels of KSP assistance to aid school officials in establishing their own action plans. School administrators, depending on the need of the individual schools, can choose any one or all four levels of the assistance being offered. KSP has unveiled it’s new Safe Schools Program for younger kids! In an effort to teach kids about school safety, and not scare them, we are providing this video for schools to use as a recourse for their kids. We welcome any school or organization to utilize this video as a tool in their classroom. Feel free to use the streaming link from YouTube, or download the file here. DOWNLOAD SAFE SCHOOLS VIDEO FOR KIDS! KSP will provide on-site visits to the requesting school where a review of the schools current plan of action will be conducted and evaluated. Recommendations for school protocols, if requested by school officials, will be provided from the KSP school safety pamphlet. KSP will assist and participate in school ‘lock down’ drills. Provide feedback and additional information to school officials based on the ‘most likely’ police responses and needs. KSP will provide an on-site visit and walk through assessing strengths and weaknesses of the facility. Provide ‘target hardening’ information to school officials via the KSP multi-layered school security checklist. 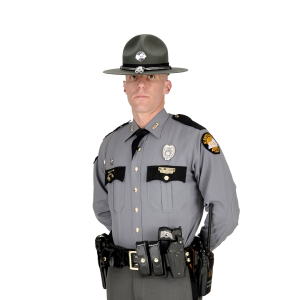 KSP will provide a three-hour block of job-specific training for school personnel designed to give options for consideration when facing an active shooter. Training will consist of classroom instruction along with the opportunity to take part in realistic scenarios to build confidence to survive an active shooting event. Make Your School Safer Today!